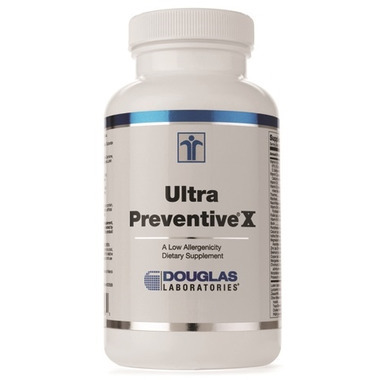 Douglas Laboratories® is proud to announce that Ultra Preventive® X now contains Metafolin®, a patented, natural form of (6S) 5-methyltetrahydrofolate (5-MTHF) as well as 1,000 IU of vitamin D3 per serving. Ultra Preventive® X has been carefully developed to contain the right proportions of vitamins, minerals, trace elements, and other nutrients without danger of toxic build-up or other side effects. 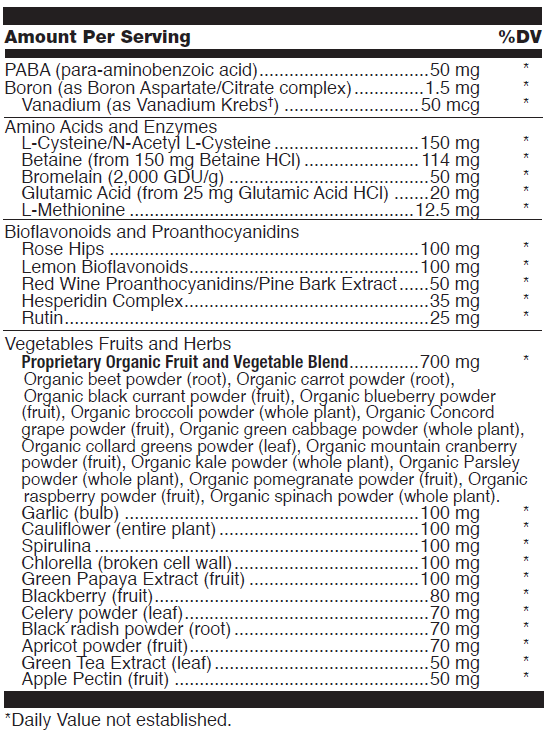 Ultra Preventive® X's herbal (organic) green food base also includes important phytonutrients. 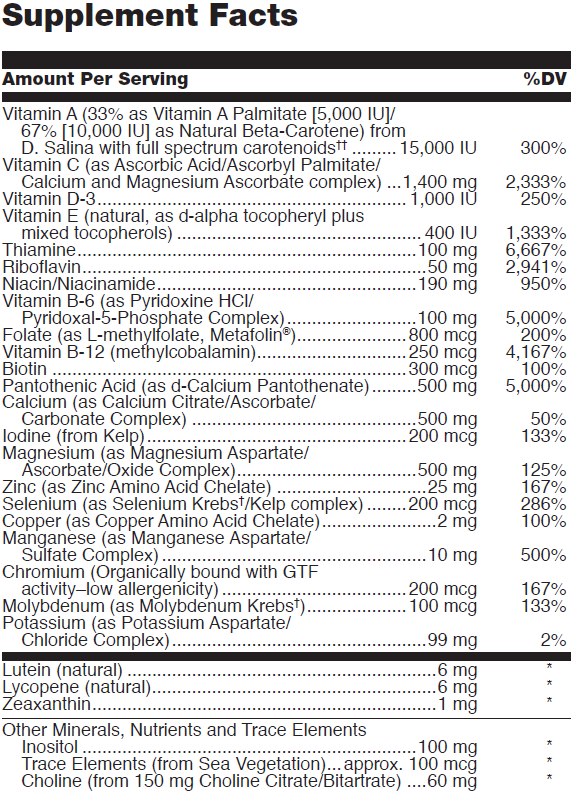 Glutenfree grasses and several varieties of microalgae supply chlorophyll, carotenes, B-vitamins, and trace elements. Cruciferous vegetables, broccoli and cauliflower, offer protective sulforophane compounds known for their ability to induce protective phase 2 detoxifying enzymes. Indications: Ultra Preventive® X tablets may be a useful dietary supplement for those who wish to consume the essential nutrients for optimal health. This product contains NO yeast, gluten, soy, milk/dairy, corn, sodium, sugar, starch, artificial coloring, artificial preservatives, artificial flavoring, or genetically modified ingredients (GMOs).